A personal physical injury, often caused by things out of one’s control, can cause a person to suffer from physical, mental, and emotional difficulties. MM&D has qualified and experienced attorneys who are dedicated to obtaining outstanding results for our clients who have suffered a loss as a result of motor vehicle accidents, slip and falls, wrongful death and survival claims, negligence actions, etc. MM&D’s personal injury division always acts in the clients’ best interests. We provide honest and competent advice with regard to how much compensation one should expect from a claim and what type of damages a client is entitled to. The types of damages a personal injury claim may include are reimbursement for doctor’s bills, time lost from work, medical costs for ongoing injuries, physical and emotional pain and suffering, and damaged property. 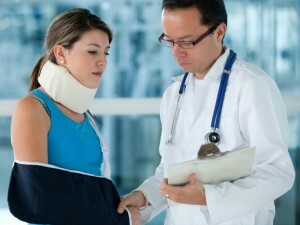 We are dedicated to obtaining a superior recovery for any and all injuries suffered. There is absolutely NO FEE unless we succeed in recovering damages. The attorneys at MM&D have years of experience practicing personal injury law. Furthermore, are constantly working on our craft by both in training the next generation of legal professionals and consulting with fellow personal injury attorneys regarding the latest changes in personal injury law.